San Diego, California – November 27, 2017. San Diego’s leader in corporate housing, Key Housing is proud to announce a new twist in its monthly featured listing. This month the company is announcing a focus on the area North and West of downtown San Diego as it features incredible natural opportunities yet is close to business centers of the county. To review the featured San Diego property, please visit http://www.keyhousing.com/rightside.asp?action=form3&ID=839. Here is a summary of the property and implicitly why it was chosen as a great property located just North and West of San Diego’s fun downtown. Located at Crown Point on Pacific Beach, the community offers thoughtfully designed studios and one- or two-bedroom homes featuring fully equipped kitchens, air-conditioning, spacious closets and more. Now available are fully renovated apartments including updated kitchen and bathrooms. Residents can take advantage of wonderful amenities including the 40-person whirlpool spa and outdoor swimming pool and nearly 5,000 square feet of fitness space! Other amenities include basketball, tennis and volleyball courts, on-site laundry facilities and a professional on site maintenance team. Rooted in Mission Bay Park, which is a breathtaking 27 miles of shoreline that offers an amazing combination of barbecues, basketball courts, free parking, picnic sites, playgrounds and so much more, it’s a logical choice for Key Housing as we seek to identify properties outside of “traditional” downtown venues for our corporate guests. Those who would like to learn more about San Diego are also urged to visit the Key Housing blog, which is proud to announce new posts on San Diego just in time for the busy fall rental season at http://blog.keyhousing.com/tag/san-diego-short-term-rentals/. Based in Folsom, California, Key Housing Connections Inc. (http://www.keyhousing.com/) specializes in corporate housing and corporate rentals in cities like San Diego, Los Angeles and Anaheim. Whether the need is for a serviced apartment or a short term rental, corporate housing or short term apartments, just browse our listings to find the rental that fits one’s short term corporate housing needs. 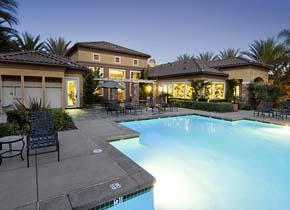 We are competitive with extended stay hotels in cities such as San Diego, Santa Clara and even Long Beach. Many nurses, interns and people seeking pet friendly corporate rentals or corporate relocation services depend on us for furnished apartments and other temporary housing needs. Whether after San Diego serviced apartment or a short term rental in Los Angeles we can aid the search for the right apartment in the Golden State. After all, we’re among the top-rated short-term apartment listing service in areas like Orange County and Los Angeles County. Whether it’s serviced apartments or a furnished rental, just search, click or call today!